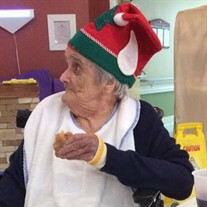 Cora M. Cole age 98 of Rocky Mount passed away on Thursday, July 19, 2018. All services will be held in Pennsylvania at a later date. Arrangements by Conner-Bowman Funeral Home & Crematory (Route 220 @ Wirtz Road) Rocky Mount. The family of Cora M. Cole created this Life Tributes page to make it easy to share your memories.